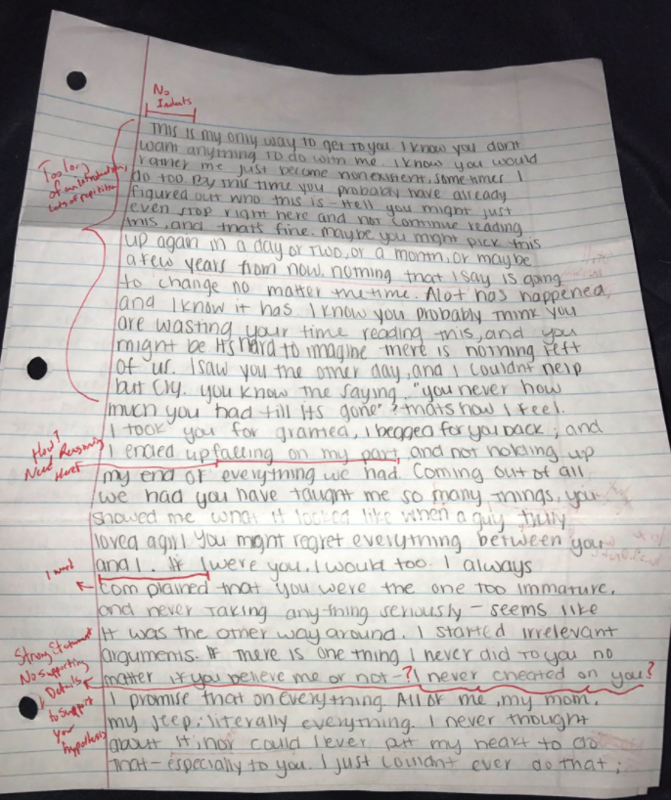 A student who received a long letter from his ex has marked it like an essay and returned it (with comments). 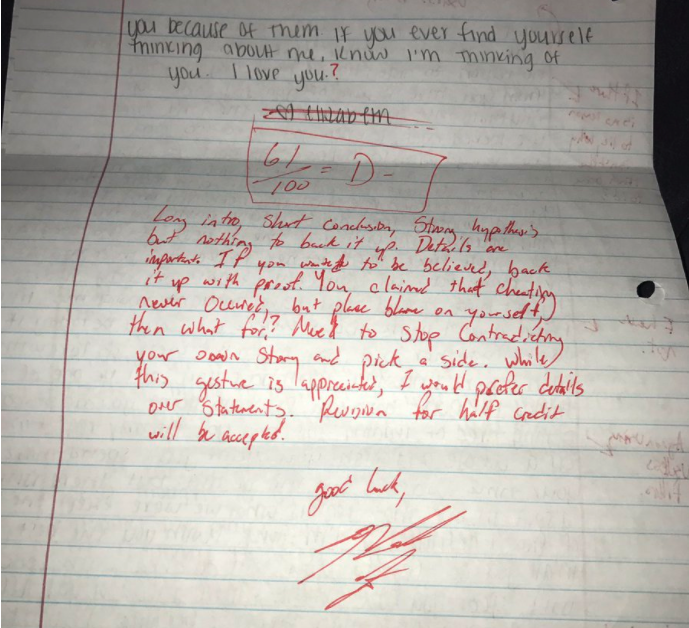 Nick Lutz was clearly in full academic mode when he received a long letter from his ex, as he marked the hell out of it. 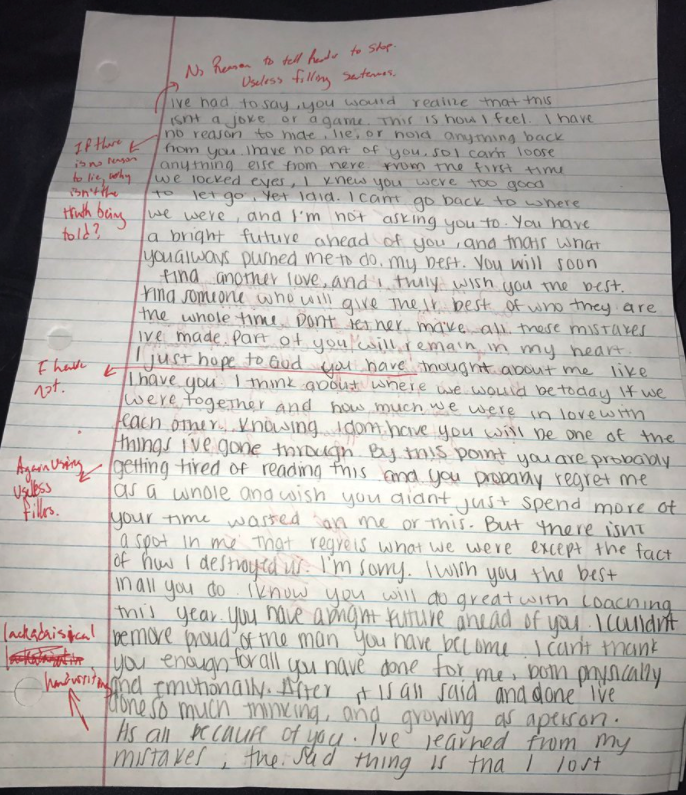 The letter received poor marks from Nick for missing supporting evidence for her argument that she never cheated on him, as well as poor spelling and grammar, and filler sentences that didn't need to be included. All in all, he's a pretty tough marker. Long intro, short conclusion, strong hypothesis but nothing to back it up. Details are important. If you want to be believed, back it up with proof. You claim that cheating never occurred, but place blame on yourself, then what for? Need to stop contradicting your own story and pick a side. While this gesture is appreciated, I would prefer details over statements. Revision for half credit will be accepted. 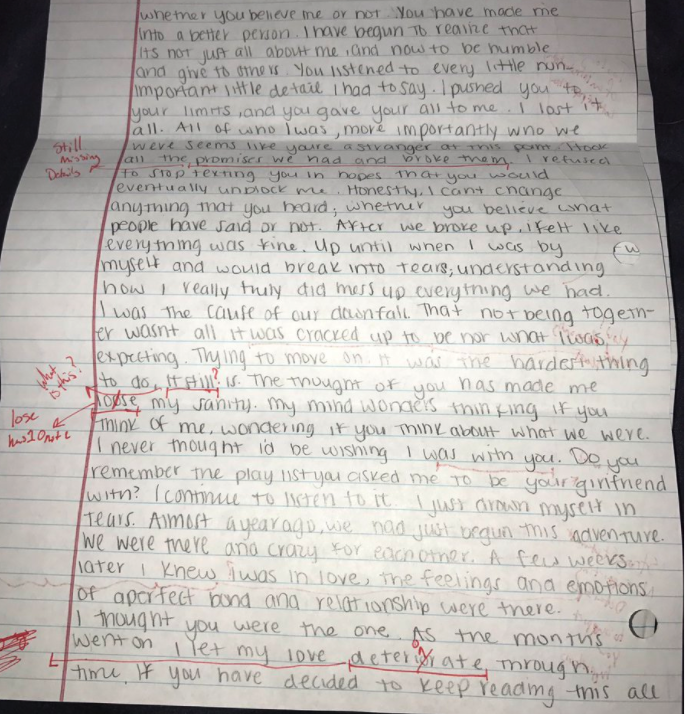 According to Nick, she did not revise her letter after receiving these notes. @NickLutz12 did she use the grace period to revise for half credit? Since then, the letters have received moderation from other tough markers. @NickLutz12 @fillegrossiere ok should have failed her. You missed that she listed "a lot" as one word in her intro. @NickLutz12 @fillegrossiere good eye, champ. All in all, she isn't on track for a 2:1.